Is hypnotherapy right for you? Find out by taking advantage of our free half hour in-office consultation. Changing the way you feel, think and act can improve the quality of your life. While many talk therapies can take a significant personal investment of both money and time to realize lasting change, hypnosis is an effective and quick way to make resilient positive changes. Hypnotherapy offers unique and effective opportunities to address issues that are beyond our conscious control. 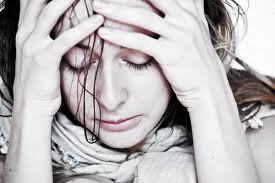 ​Anxiety can interfere with our ability to enjoy life or be productive. The use of both counselling and hypnotherapy offers a combination of powerful tools to address the underlying causes and make lasting changes. Trauma and big emotional experiences from our past can often linger and get in the way of who we want to me. Rapid Resolution Hypnotherapy can release these burdens and allow you to move on with your life. ​It may be time to quit smoking or change your attitude towards taking better care of yourself. Whatever behaviors you would like to address, hypnosis can produce results quickly and effectively. Learn more about how Hypnotherapy can help you. ​ ​The state of hypnosis is actually a normal, everyday human experience. Just before we fall asleep, when we get lost is a book or a movie or even a thought, we are passing through a natural state of hypnosis. Hypnotherapy is one of the most effective tools for changing your life. By engaging both your conscious and subconscious minds to work together towards your goals creates a powerful force for change. I have personally seen hypnotherapy change lives dramatically where other approaches have not worked. Hypnosis is an effective tool for creating the change you are looking for. Close your eyes, breathe slowly; picture yourself in a mountain meadow, and be completely at ease. This is most people’s idea of hypnosis. But is hypnosis real and does it even work? Yes, but it is probably different than you think. ​Hypnosis is a normal mental state characterized by openness, relaxation, and amplified imagination. It's like losing yourself in a good movie where you are completely involved and conscious, but tuned out from other external stimuli, and ignoring your critical mind. Hypnotists work steadily to build acceptance and refine the effectiveness of their profession. As a result, if you search Google Scholar you will find over 275,000 peer reviewed scientific articles on hypnosis available in both medical and psychological journals. Coupled with extensive research, this supports the conclusion that hypnosis can be used either as part of a treatment regimen, or as the first line of treatment for a number of conditions such as phobias, anxiety, addictions, weight loss, smoking cessation, chronic pain, and more. Modern medical brain research reveals that the regions that are responsible for the decision-making process change during hypnosis. These areas exhibited stronger connections during hypnosis, demonstrating an enhanced ability to focus on a task. This effect persists after hypnosis. In truth, hypnosis is something most of us have experienced in our everyday lives. You have certainly been completely engrossed in a movie or book at some point and lost all track of time. You were experiencing a light hypnotic state. The hypnotized person is not sleeping or unconscious—quite the contrary. Hypnosis creates a hyper-attentive and hyper-responsive mental state, in which the subject's subconscious mind is highly open to suggestion; that doesn't mean that free-will or moral judgment is impaired or turned off. In the state of hypnosis, you are simply more likely to respond positively to the changes you want. Hypnosis calms the conscious mind, allowing access to the subconscious. This is when your subconscious mind is open to aligning itself with your conscious intentions. Despite increased acknowledgement by the medical community, popular myths relating to how hypnosis works persist. Skeptics claim that the effects of hypnosis are nothing but conformance to peer pressure. This belief has caused subjects to view hypnosis as a practice that allows hypnotherapist to invade their privacy and even take away their free will and potential obliteration of their clients' memories. This could not be further from the truth. Hypnosis is meant to allow you to focus on a subject without interference of your conscious defences. Hypnosis does not take place when you are unconscious. It is a common, often daily, experience. If you've ever been driving down the highway, focused on the task at hand, and missed your exit, or got surprised that don't remember driving the last few minutes, you had lightly hypnotized yourself. If you were sitting in a waiting room, focused on an event outside the window, and didn't hear your name called three times, that was hypnosis. 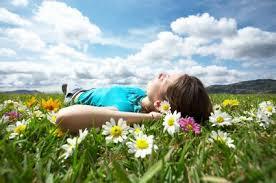 Hypnotherapy works by guided relaxation of the body and conscious mind. This allow for direct access to the subconscious mind without filtering or reactions of the conscious mind. Hypnosis can be induced through a therapist’s verbal guidance. Even in a highly suggestive state during hypnosis, your free will and your moral judgment will remain active. Some people enter the state of hypnosis more easily than others. Current theories suggest that individuals who become easily engrossed in everyday activities, such as reading, may be more easily hypnotized than those who find it hard to focus or concentrate. Studies show that people who participate in hypnosis successfully and regularly tend to be active problem solvers. Hypnosis can be effective for weight reduction, smoking-cessation, pain management, easing chemotherapy side-effects, hospital/surgery stress, phobias, and insomnia. It can help with palliative care, stress/anxiety, panic attacks, memory enhancement, self-esteem, self-confidence, school issues, goal setting, childbirth, and even medical and dental procedures normally requiring an aesthetic. A popular example is pain control. Your mind can amend your pain awareness. During hypnosis, the unconscious mind decreases response to sensory information, thus making you less aware of the external environment. Hypnosis takes advantage of this to use it for targeted circumstances, such as specific pain control. ​If you have ever cried during a movie—even when you know firmly in your mind that it is made of actors, in a studio, and it is utterly false—you have experienced a form of hypnosis. That level of focus is what hypnotherapists harness in order to help you become more like the person you would truly like to be.